Woodland Scenics to use with your HO scale train or scenic layouts. Very realistically molded plastic people. The figures are dressed for travel, and are carrying suitcases. 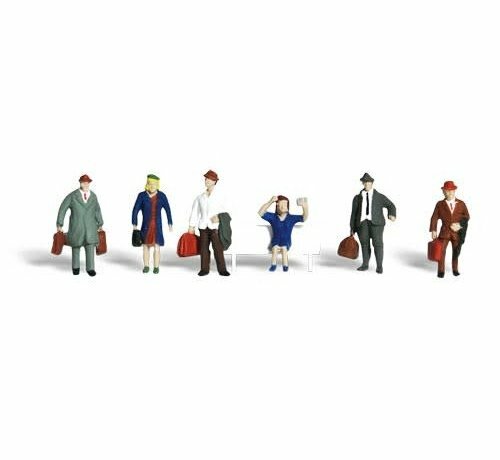 Six HO Scale Plastic Travelers People Figures.